Last week, we had our lunch at Rustica in Conception Tarlac. 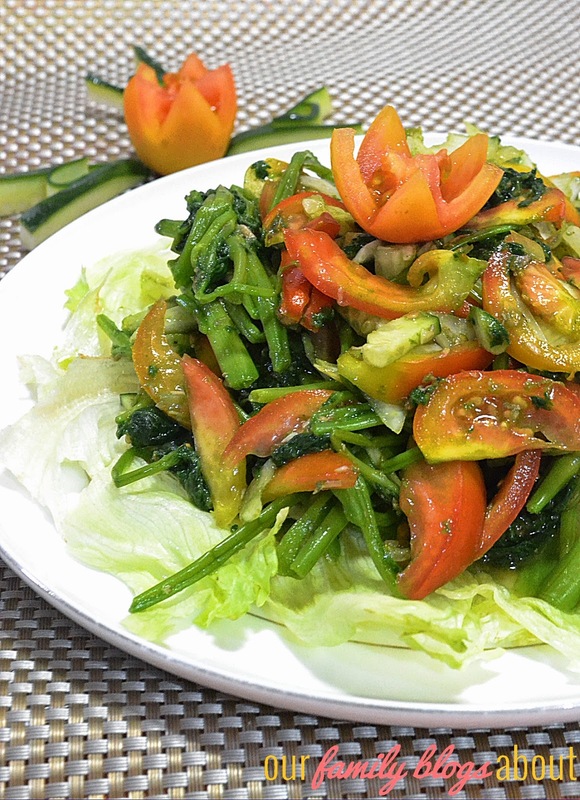 One of the menu is the Ensaladang Kangkong. Everytime we had our lunch at this place, this dish is always part of the meal. I tried to keep an eye on every ingredient in the meal so I can have it at home too. 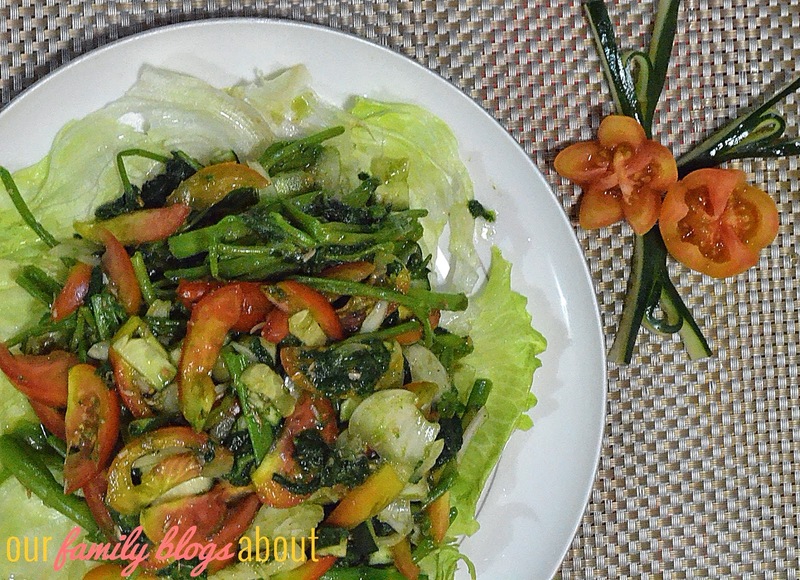 Last Saturday, I made my own version by replacing some of the ingredients by using what are available at home. I used sautéed shrimp bagoong instead of fish bagoong, cucumber in replace of mangoes and removed pork chunks. According to Mommy, it tastes good especially with vinegar on the side. By the way, this dish is very easy and simple to do. Put everything in a bowl and toss until completely mixed. Serve with fried or grilled fish and steamed rice.